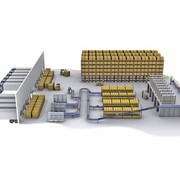 Our unique SpiralVeyor® is used in a wide range of markets and applications for vertical transportation, temporary storage and the accumulation of single goods and packed products. 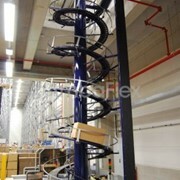 The introduction of the AmbaFlex SpiralVeyor® SV in the mid nineties sparked a revolution in material handling. Paired with a simple and robust design, the space-saving configuration provides an effective solution to the traditional issues associated with height differences. 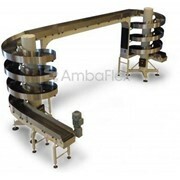 The lateral roller system patented by AmbaFlex is simple and reliable, and it renders controls and sensors superfluous. The continuous motion represents a solution for the exacting situations involved with unstable products and high production speeds. 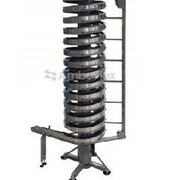 With its installed base of thousand machines worldwide (including demanding multinational clients), the AmbaFlex SpiralVeyor® SV sets the standard for industry. Only one drive needed for height differences exceeding 12 m.
A choice of many belt types with or without high friction. Belt maintenance without using tools (1 minute maintenance). 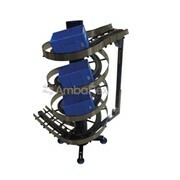 Transports heavy items even if not positioned central on the belt. wash down (100% stainless,no soft metals used). Elevation up or down (or reversible). Average loads of up to 50 kg/m. 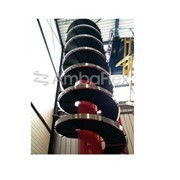 Belt speeds of up to 90 m/min. Angle of incline 2.5° - 18°. CE certified and 100% intrinsic safety. 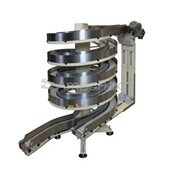 For narrow belt width we refer to our SpiralVeyor® SVs-series. 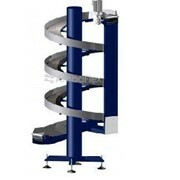 For wider belt configurations we refer to the SpiralVeyor® SVe-series. 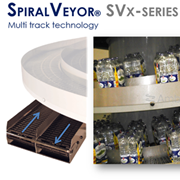 For double or triple parallel product streams see our SpiralVeyor® SVx-series. 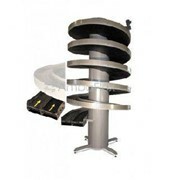 For smaller belt width or mass flow application we refer to the SpiralVeyor® SVm-series. 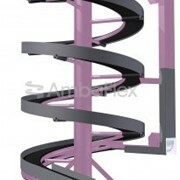 AmbaFlex is the partner for customized material handling systems based on spiral conveying technology! 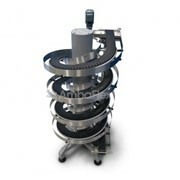 Our unique SpiralVeyor® is used in a wide range of markets and applications for vertical transportation, temporary storage and the accumulation of single goods and packed products. 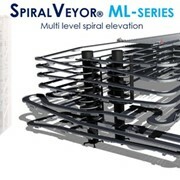 We are an independent global company that has developed, produces and also maintains the SpiralVeyor® system to ensure that our customers receive the most cost effective solutions available today. 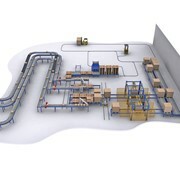 Users all over the world already appreciate the level of quality we deliver and our proven experience in their markets. 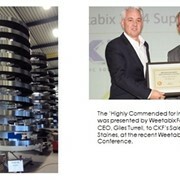 To maintain this leading and trendsetting position, we continuously invest in product innovation and the development of functional solutions in close cooperation with our customers. 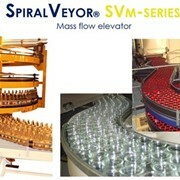 SpiralVeyor® SVs for primary packages! 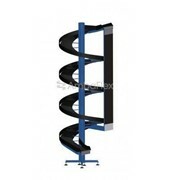 The perfect connection with spiral conveying! 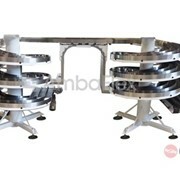 Mention IndustrySearch so AmbaFlex can best assist you! 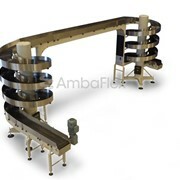 Get a callback from an expert at AmbaFlex to help answer your questions.